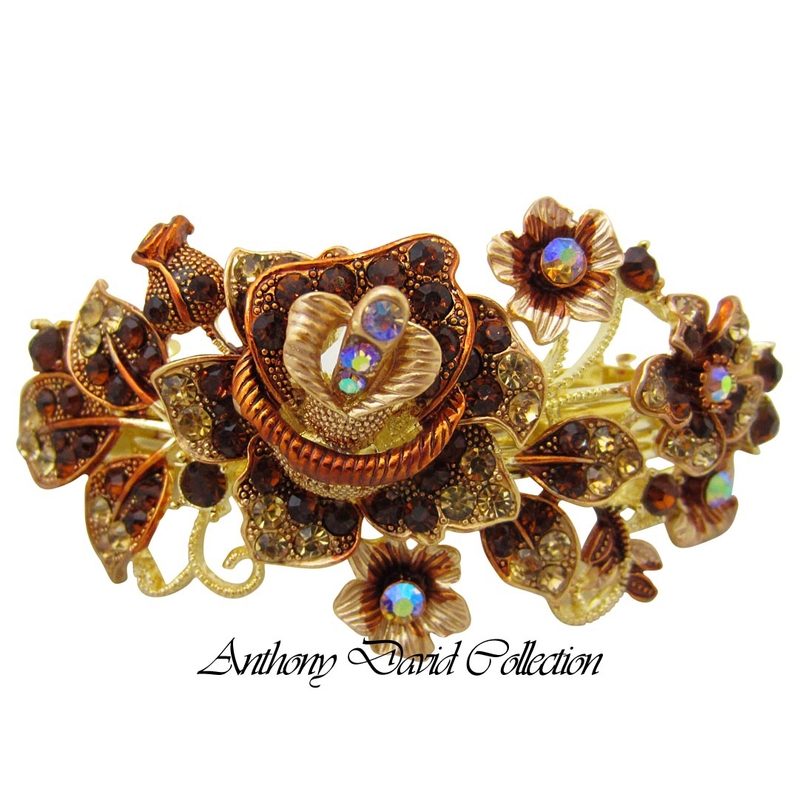 This exquisite Anthony David gold hair barrette clip is covered with Swarovski crystals and has an intricate rose floral design. 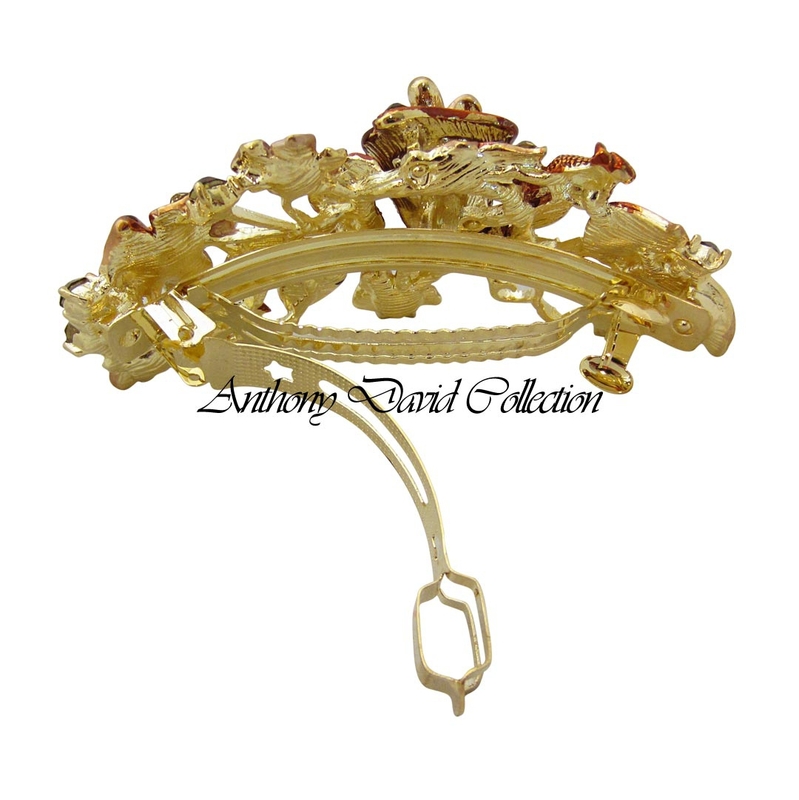 This hair accessory is the perfect item for a dressy or casual occasion. It will add a brilliant sparkle to any attire and also comes in silver metal with clear crystals. Covered with light topaz and smoke topaz Swarovski crystals. Barrette style hair clip with push button safety clasp design. Anthony David signature storage pouch and gift box included. 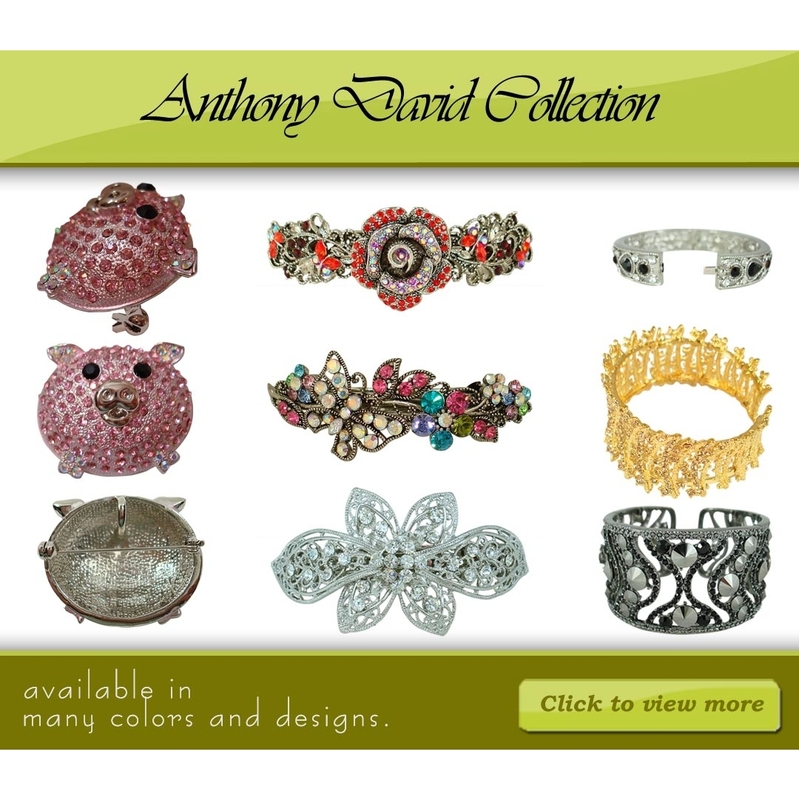 Anthony David crystal hair clips are available in many styles and colors.